Dr Oz: Should You Rinse Pasta? Dr Oz had a blast debunking some of the biggest food myths and then he wanted to end his show by debunking the biggest food myth on the internet. To help him reveal what it is, he welcomed YouTube sensation, the Domestic Geek, Sara Lynn Cauchon. She has more than a million subscribers who love her weekly healthy meal videos. The number one most popular myth on the web is that you should rinse your pasta after you cook. The truth is that pasta is full of starches that help your sauce adhere to the pasta. So stop rinsing your pasta after you cook it! Dr Oz also shared that a creamy pasta sauce doesn’t have to be loaded with fat and calories. 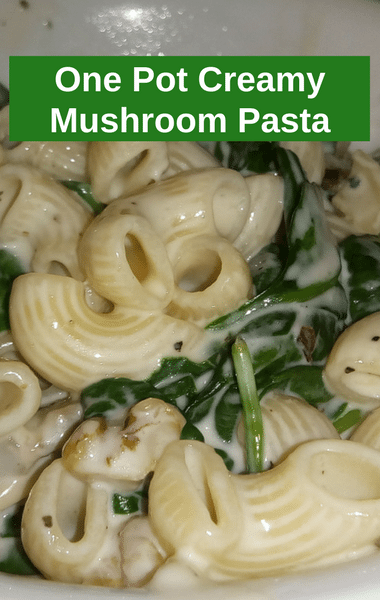 Sara Lynn’s Creamy Mushroom Pasta proves that isn’t the case! We’ve got that tasty recipe for you on the following page.